Find a new Chrysler 300 at your local Anchorage, AK Chrysler dealership. 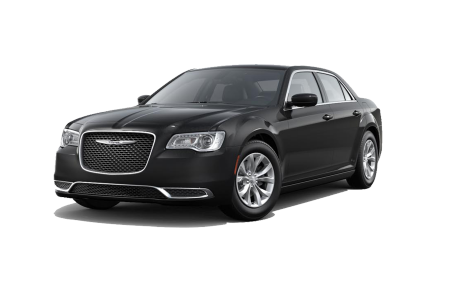 View NEW Chrysler 300 Inventory	Looking for a USED Chrysler 300? Overview Anchorage Chrysler Dodge Jeep Ram has the Chrysler sedan to please drivers and passengers alike in Anchorage, Alaska. The Chrysler 300 couples big, bold American style with a whisper-quiet ride. This four-door sedan has power under the hood and grace in the interior. Make an entrance pulling up to your destination with the boxy design and show-stopping grille. If you value a roomy, comfortable ride for a weekend cruise, you'll find your American dream in the Chrysler 300. Visit our Anchorage, AK Chrysler dealership today for a test drive! Why Us? As your hometown dealership, Anchorage Chrysler Dodge Jeep Ram is proud to provide our neighbors with customer-first service. Our Best Price in Alaska Guarantee assures a quality vehicle at the fairest price. Our automotive finance department puts 50 years of experience to good use to get you the right loan that works for your budget. Get started on your way to a new Chrysler 300 today! Call or visit us and see what our team can do for you. Drop by our Express Oil Change Service bay at Anchorage Chrysler Dodge Jeep Ram for a quick oil filter replacement. Need new brake pads? Check our current service specials and coupons on genuine Mopar auto parts for more ways to save. Contact our Anchorage, AK, service department for vehicle repairs and routine maintenance today.